Map enables users to deploy better trade practices, providing wide-ranging information on sustainability initiatives and standards. 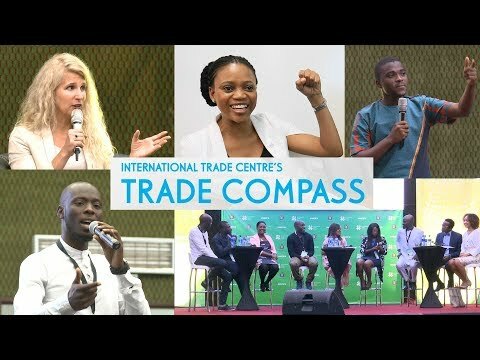 (Geneva) – The International Trade Centre (ITC) today unveiled Sustainability Map a new online gateway connecting businesses and producers that will help pave the way towards more sustainable trade. ITC launched the innovative tool during the second day of the Trade for Sustainable Development (T4SD) Forum, held in Geneva, Switzerland on 25-27 September. A freely available online platform, Sustainability Map offers users access to wide-ranging information related to sustainability initiatives and standards, allowing businesses to deploy better sustainability practices in international trade. Moreover, Sustainability Map enables users, regardless of their position in the local, regional or international value chain, to gain a better understanding of the sustainability standards that are relevant to their export markets, and to connect with business partners. ITC developed Sustainability Map to allow easier access to essential information on sustainable trade. The main beneficiaries of the platform include micro, small and medium-sized enterprises (MSMEs), and international buyers. It is also an extremely useful tool for public-sector officials who need to understand how sustainable production and consumption trends affect the competitiveness of their key sectors and domestic exporters. Sustainability Map consists of four modules and builds on ITC’s already well-established online tools, such as Standards Map and the SustainabilityXchange, while introducing two new and interconnected modules, the Sustainability Network and Sustainability Trends. The Standards module allows users to analyse and compare voluntary standards-related data. This module also enables producers and businesses to carry out self-assessments of their performance against a range of standards requirements. The Standards module is an improved and updated version of Standards Map and covers more than 230 voluntary standards initiatives applicable to more than 80 sectors and 180 countries and territories. The Network module helps to increase transparency and establish a better environment for business engagement by connecting actors along the value chain. This virtual network enables users to share their business and sustainability profiles with traders, buyers, standards organizations, financers and others across the value chain. The Community module links organisations and experts committed to driving sustainable value chains and trade. Incorporating the existing SustainabilityXchange platform, this module provides insights into capacity-building information designed to empower trainers, businesses, standards organizations, non-governmental organizations, and governments. The Trends module offers access to an extensive overview of production-related market information on over 10 voluntary standards including the entire ISEAL membership and numerous product groups such as cocoa, coffee, tea, palm oil, soy and sugar, among others. Now its fourth year, the Trade for Sustainable Development Forum is ITC’s annual event putting focus on trends in sustainable value-chain development. It gathers hundreds of representatives from the private and public sector, researchers, and standards organizations.